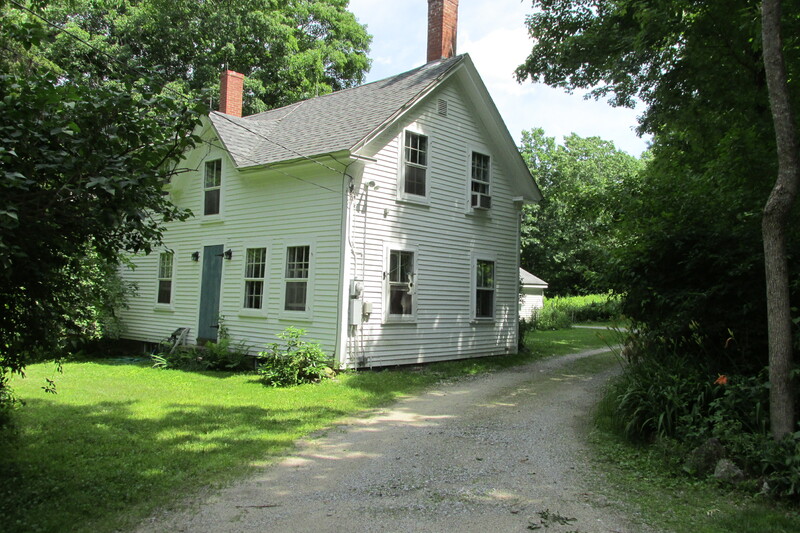 I have been enjoying spending much of my summer in Antrim, NH. Antrim at one point was known for making apple coring machines. Now it is known for ice cream, good pizza and the Wool Room. 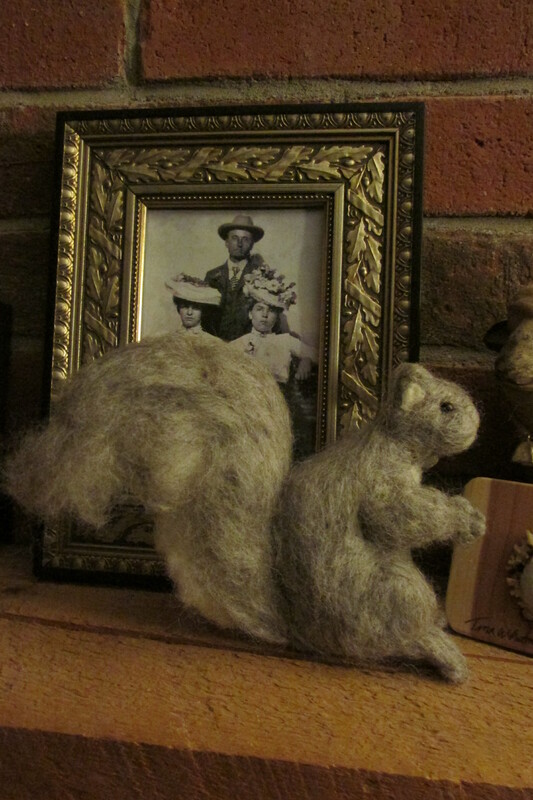 roving needed for needle felting! 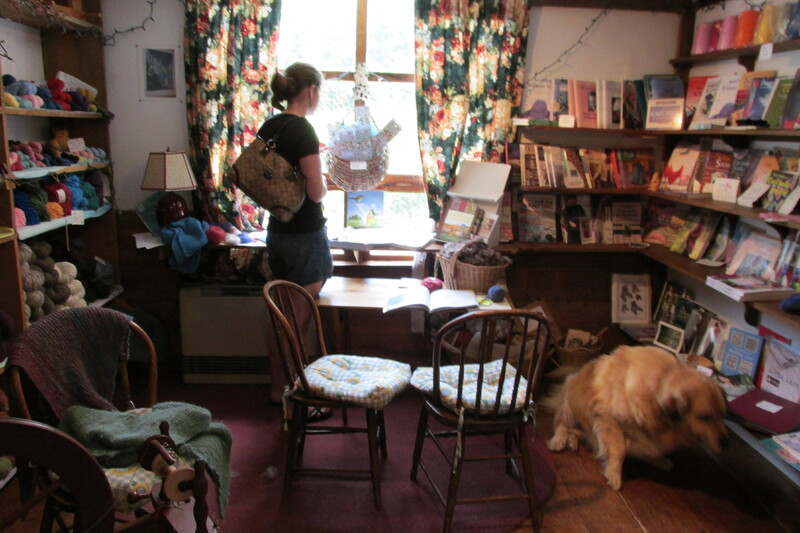 Anne, the owner, has turned the back part of her beautiful old home into a yarn and wool shop. I have been buying the roving for my needle felting creations from her. The quality of the roving is of the highest. Most of Anne’s customers for roving are spinners. A small shop with a lot in it! While other yarn shops are bigger, Anne has a lovely selection of quality yarns and the softest roving for your wool needs. She also will sell you pair of hand knit socks if you don’t feel like knitting yourself. Children are more than welcome, with toys available to play with while parents shop. Sweet old Golden always welcomes me to the shop. My daughter Evelyn enjoys shopping here also. 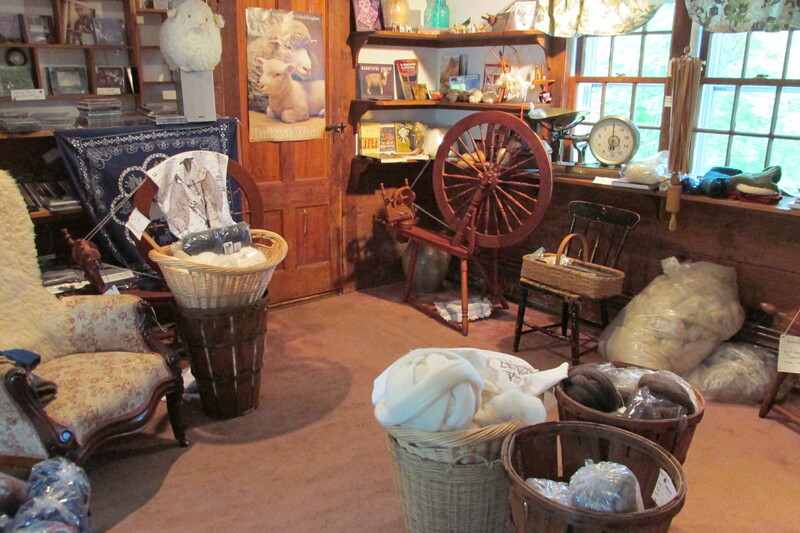 Stop in, have a chat with Anne, buy some yarn, roving, or other spinning or knitting supplies, then go have some ice cream at Tenney Farm.